If you need to end your current marriage and don't want to go through a divorce, you may want to consider an annulment. However, there are limited legal reasons you can get petition for an annulment. An annulment is a legal petition in which a court will deem a marriage void. Basically getting an annulment for a marriage makes it as though is never took place and never existed. Annulments are often used in very short-term marriages. Speak with a local attorney; each state has different laws and requirements. One spouse lying on the marriage license is a reason for an annulment. For example, if he is currently married or put down a false name, an annulment would likely be granted. Lying to the other spouse is usually justification for an annulment. The lie has to be about something that induced the other into the marriage. The most common example of this occurs when the husband tells the wife he wants to have children. However, in fact, he has no intention of ever having children. If one of the spouses is not a legal adult, a marriage can usually be easily annulled. 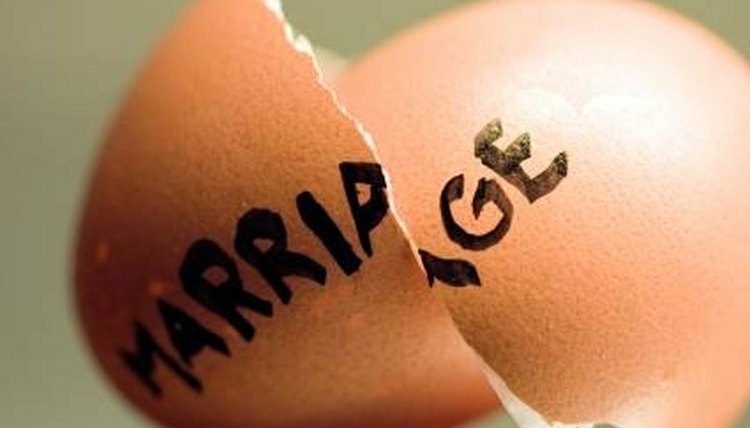 Refusing to consummate the marriage is grounds for an annulment. So is impotence. However, the court will have to decide whether the impotence was known before the marriage was agreed upon. Incapacity is also grounds for annulment. This would include if either party was forced into the marriage, either party was under the influence of drugs or alcohol which made it incapable for them to enter into the marriage freely and voluntarily, or if either party is mentally incapable. The judge would determine whether the facts presented support an incapacity claim. Just depending on your case and the facts surrounding the marriage, an annulment might not be easy to obtain. Be sure that your circumstance falls into one of these reasons and any other requirements outlined by your state. Scott, Alexis. "Reasons for an Annulment." , https://legalbeagle.com/5129918-reasons-annulment.html. Accessed 20 April 2019.